Penny Love is a heartwarming book about a little girl and her Grandmother who loves her very much. 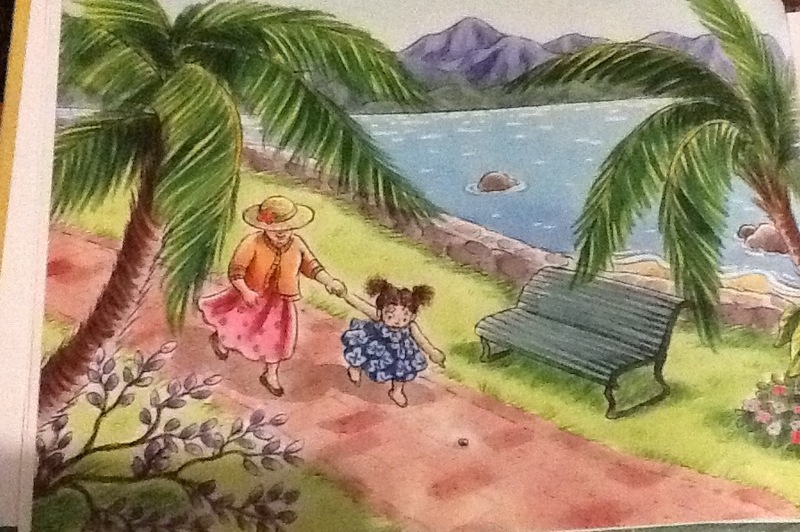 The little girl and her Grandma go for a walk and find a penny. 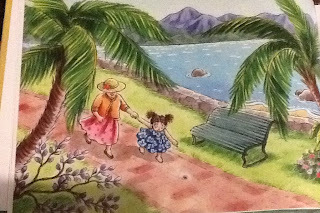 The Grandmother tells her that "whenever you find a penny, you will know that Grandma loves you." After their walk the Grandma gets a jar for the girl to put her penny in and tells her to put any penny's she finds in this jar and "Soon you will see just how much Grandma loves you." 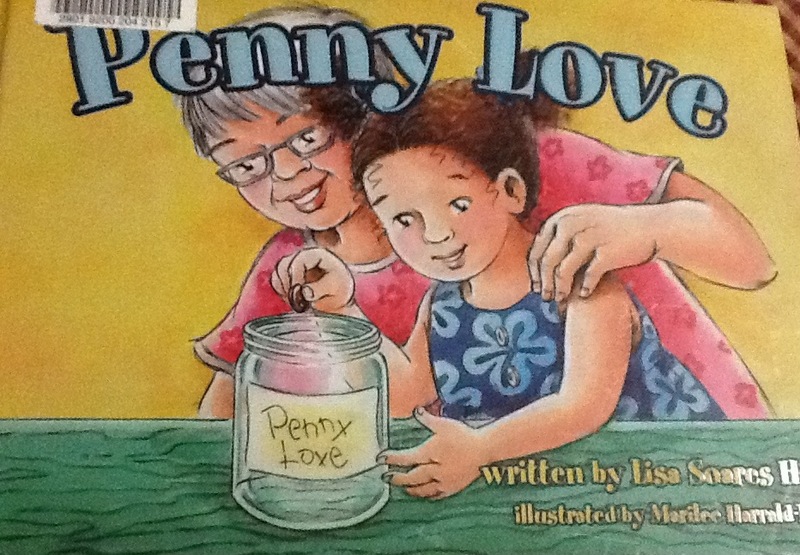 It shows the girl growing and finding more pennies and after each penny she finds she whispers "I love you too Grandma." 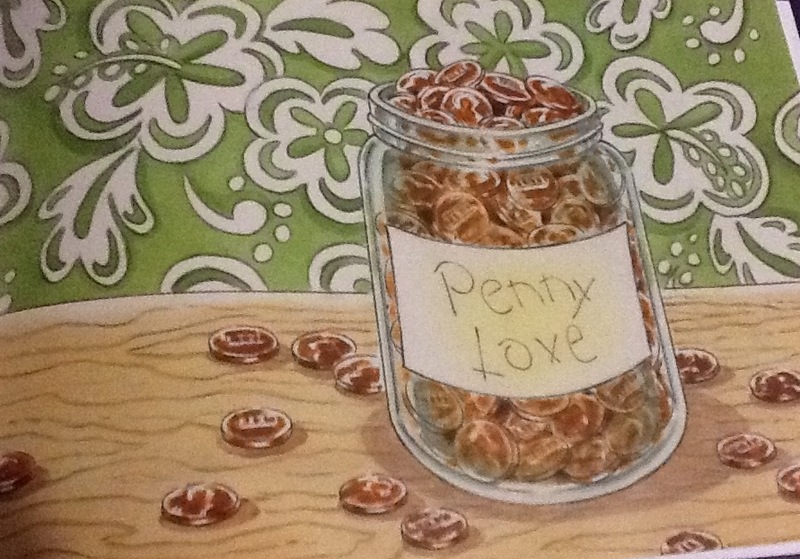 Many years pass and the jar eventually is overflowing with pennies or Grandma's love." 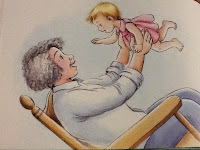 It then shows that little girl as a Grandma herself passing on the tradition to her own granddaughter and looking up to heaven to whisper "I love you, too, Grandma!" My girls like watching the girl find pennies and seeing the little girl growing up. I think it is a wonderful idea to actually do as a grandparent and think a child would love this little game. 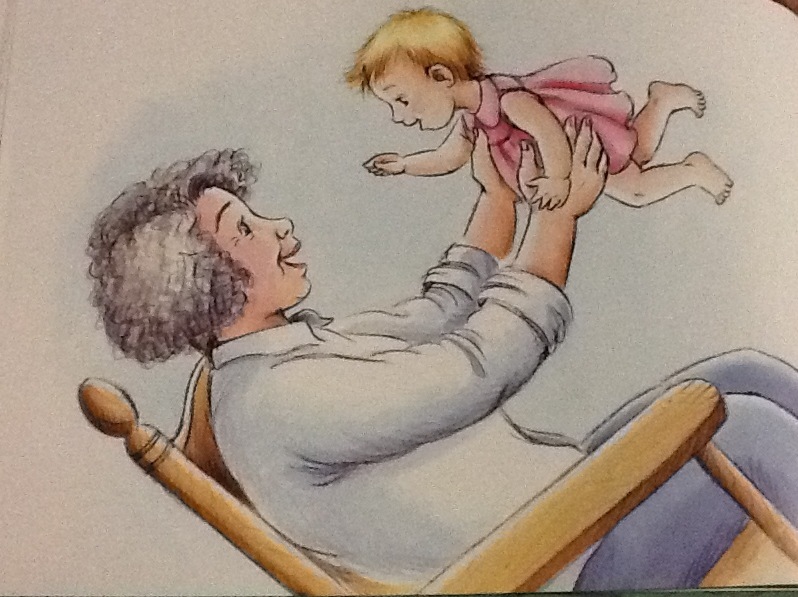 This is a very sweet book and a great read for any grandparent to their little beloved!